We like to think of ourselves as avid seekers of authentic outdoor traveling experiences. And in its four years of existence, Tourism on the Edge has gathered quite a few hints on mesmerizing places around the Globe. 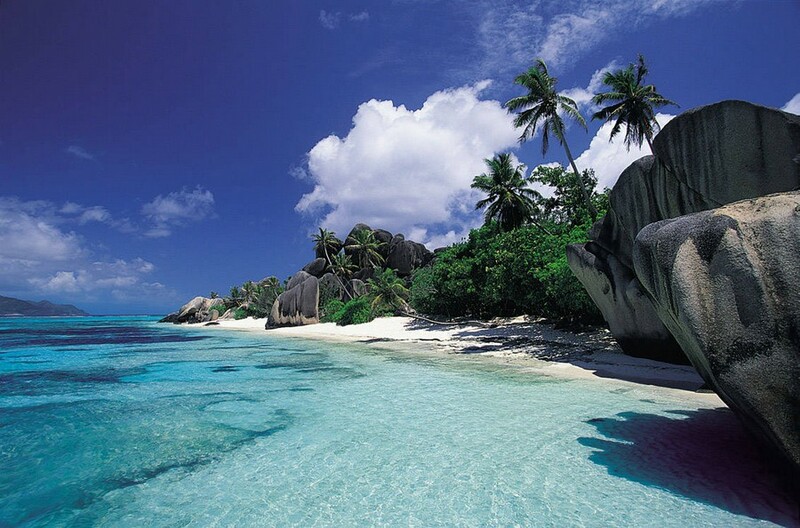 You can admire them from afar, dream about them, gather more information and perhaps even plan an outstanding voyage. This unusual railroad track is located approximately 7 kilometers from the city Klevan. It is an industrial track for wooden work, employed three times a day. 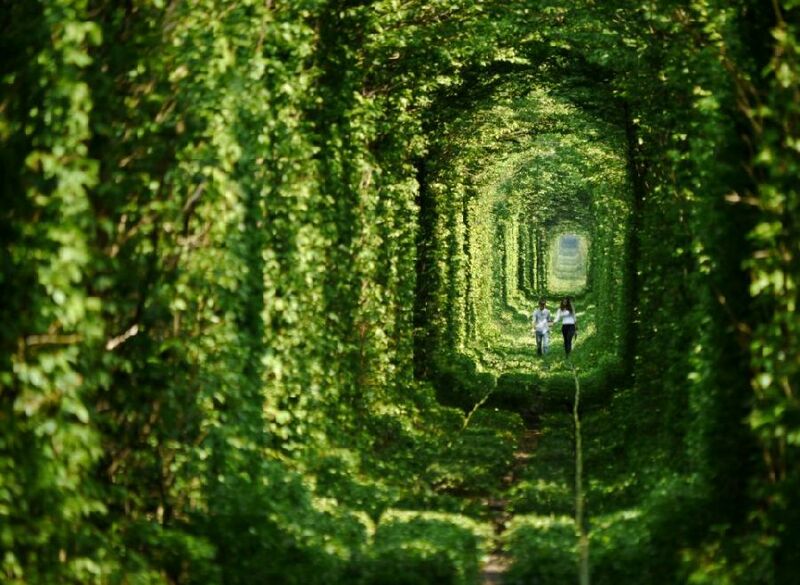 A tourist legend says that couples who ride together through the green tunnel and make a wish will get what they want. If by any chance, the complicated twists of traveling will take you to the county of Luoping in eastern Yunnan, China in spring, prepare for quite a visual spectacle. 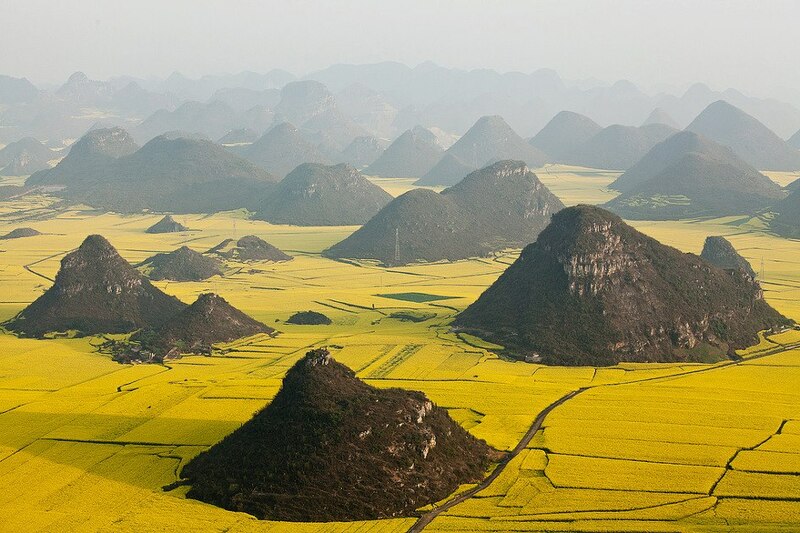 It is here that you will encounter fields of the yellow rapeseed flowers (also known as canola) in full bloom, perfectly blending in with the sprawling farmlands and beautiful hills. “Spirituality is eternal and I want the people to regard this sanctuary just this way, timeless and eternal. All my work expresses reverence for life everlasting. 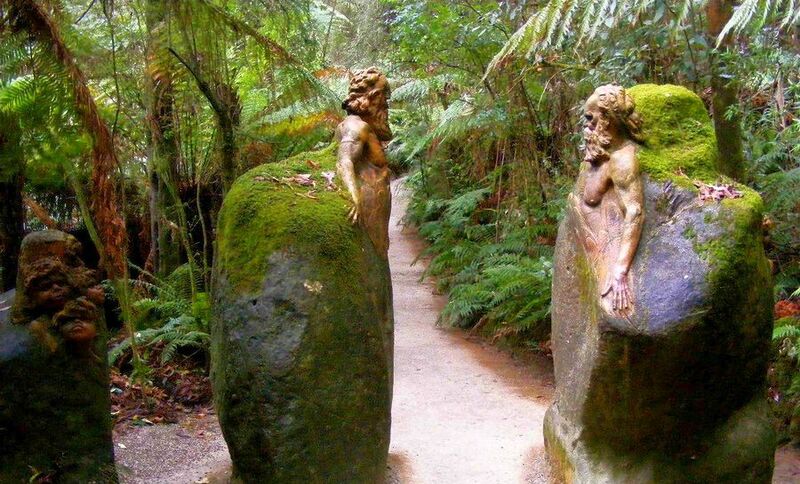 I believe that we are indivisible linked with all that life and we cannot be separated” William Ricketts (1898–1993). Read more here. 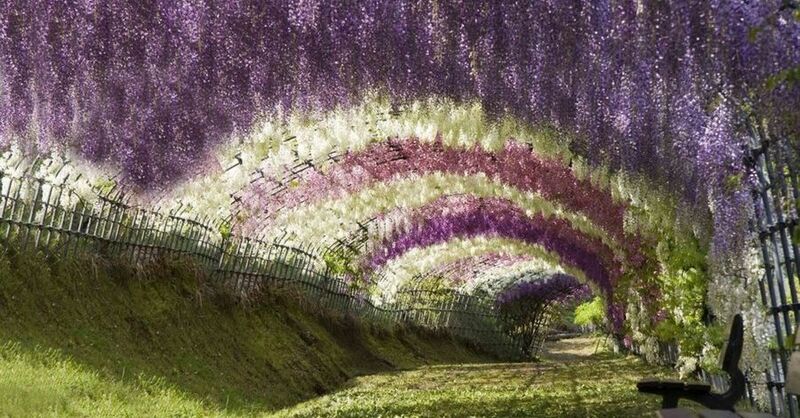 Kawachi Fuji Gardens in the city of Kitakyushu (Japan) are home to about 150 Wisteria flowering plants spanning 20 different colors such as white, blue, purple, violet-blue and pink. This is the reason why the surreal “tunnel” is so mesmerizing and graceful. 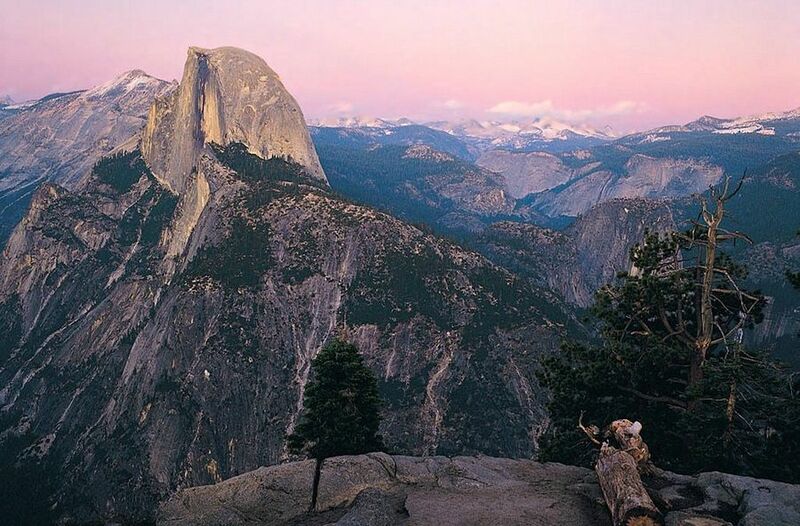 Hiking Half Dome Yosemite is our idea of a perfect day. Some say it takes 12 hours to go all the way to the edge of the dome and back, but with experience, good equipment and perfect weather conditions, you could make the trip faster. 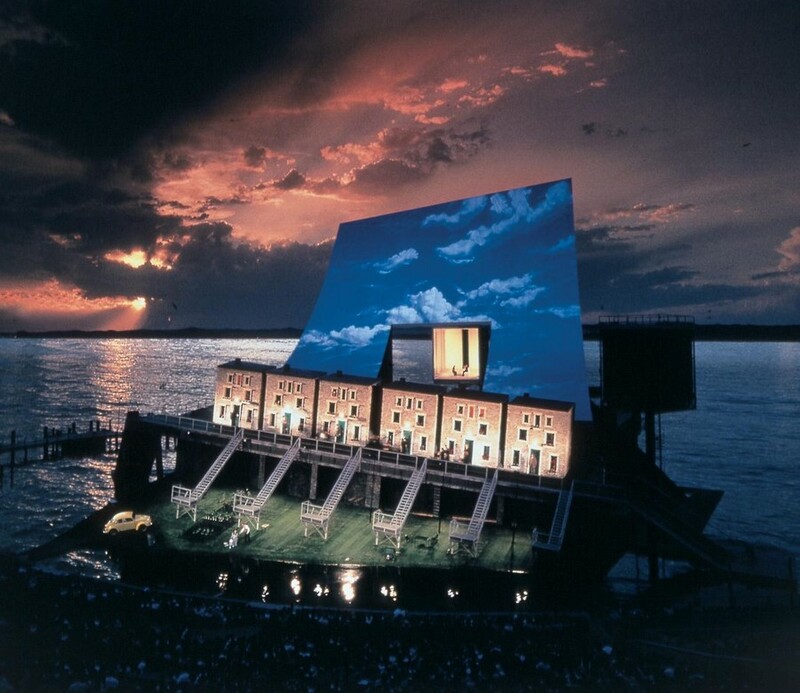 Even though the Bregenz Festival in Austria is held in five different locations throughout the city, Seebühne (the floating stage) on Lake Constance is the most popular of them all. In the staging process, the lake and its shores are the grounds for innovative decors and fantastic light shows. Pamukkale is an amazing display of natural hot water pools in the Denizli Province, south-western Turkey. What you see in the photos below are known as travertines, terraces built by carbonate minerals that gather up as the flowing water circles. 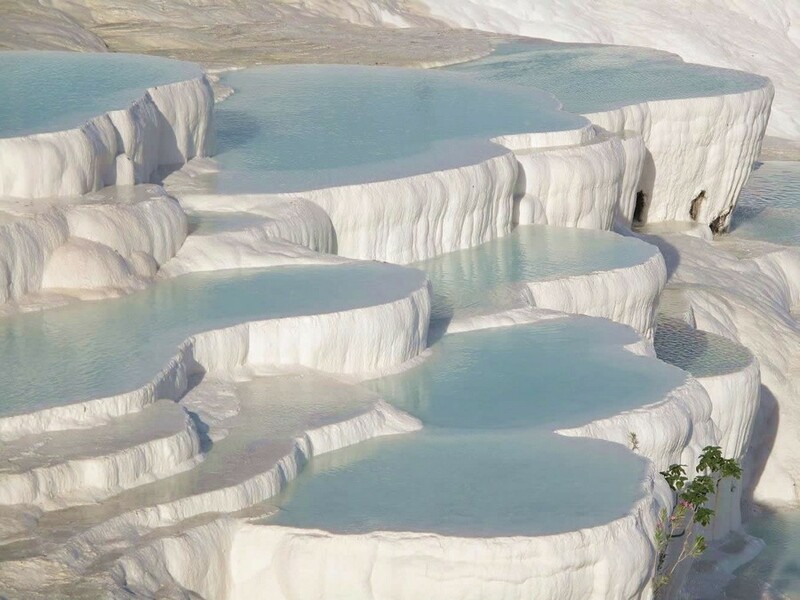 Pamukkale Hot Springs can be visited all year long, but it is absolutely spectacular in the winter time, when natural pools of hot water allure tourists worldwide. 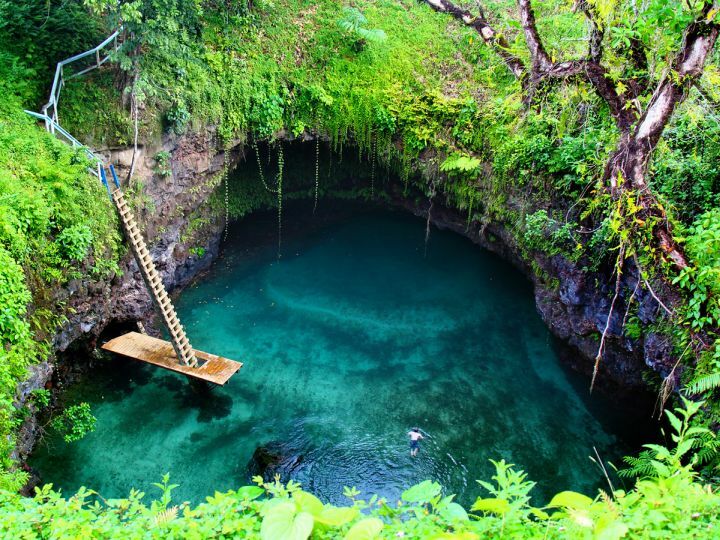 To Sua Ocean Trench (literally translated as “large swimming hole”) is a swimming spot located in Lotofaga village, on the south coast of Upolu island in Samoa. Crystal clear waters, tropical fish, a smooth white sandy bottom and water droplets falling from the overhanging arches- all create living magic. To Sua Ocean Trench is perfect for a day trip and family visits are encouraged, as long as everybody knows how to swim. 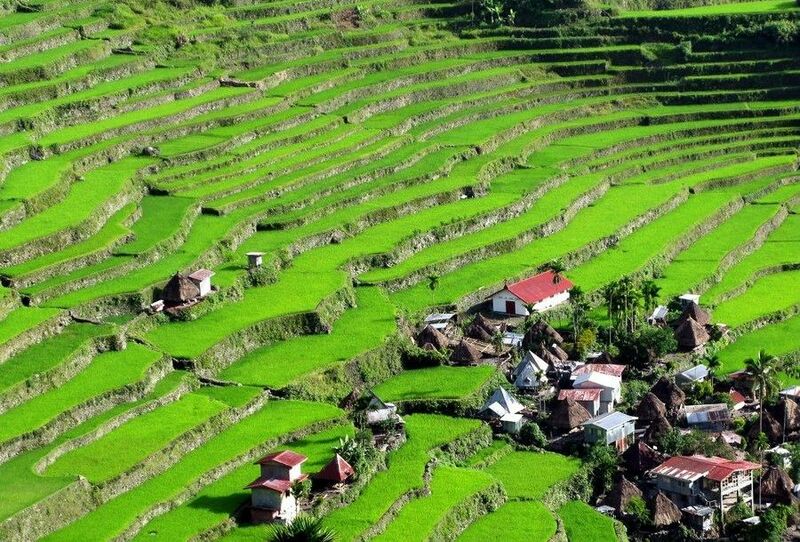 The Banaue Rice Terraces are ancient sprawling man-made structures carved into the Cordillera Mountains by ancestors of the indigenous people. These terraces built largely by hand are considered by the Philippines to be the “Eighth Wonder of the World” . Iguazu Falls or Iguaçu Falls are waterfalls of the Iguazu River located on the border of the Brazilian state of Paraná and the Argentine province of Misiones. The falls divide the river into the upper and lower Iguazu. 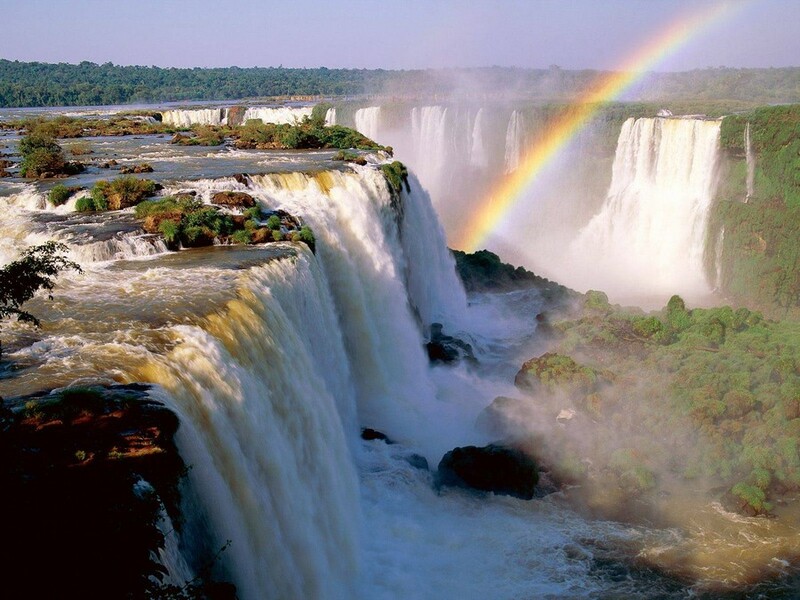 Iguazu Falls are shared by the Iguazu National Park (Argentina) and Iguacu National Park (Brasil) both designated UNESCO World Heritage Sites. 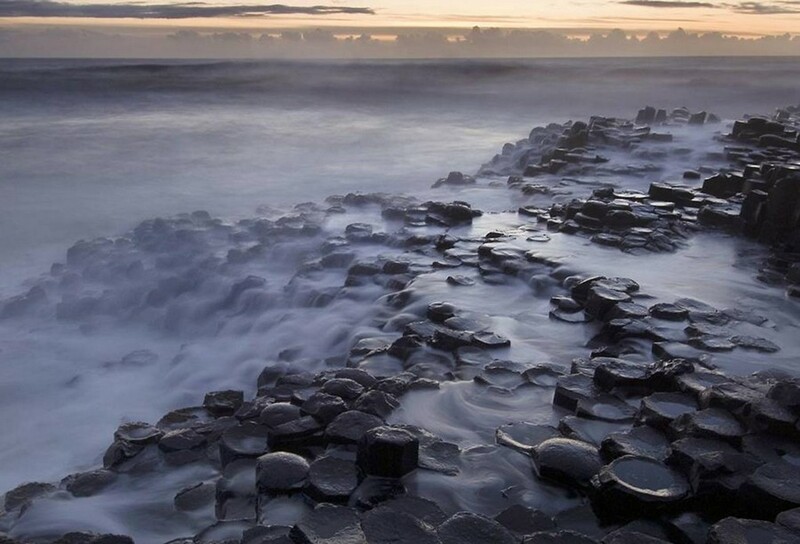 Giant’s Causeway is home to around 40 000 basalt columns, which makes this place a great attraction for travelers and a rampart in front of the fury of the Atlantic ocean. 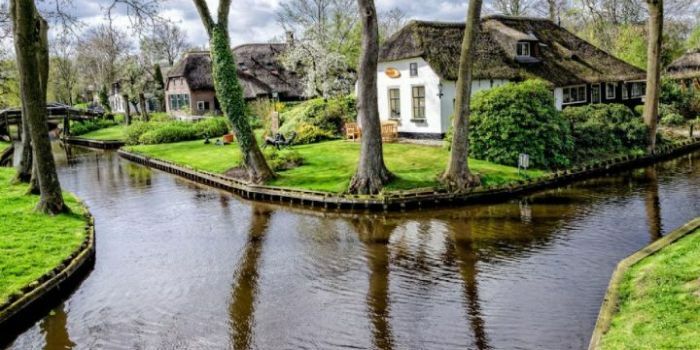 Giethoorn is a beautiful village built on canals located in the Dutch province of Overijssel. 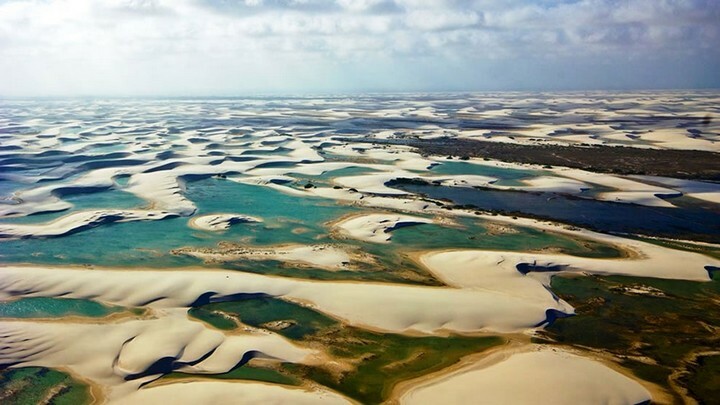 It is surrounded by a vast natural reservation entitled De Wieden, often included in tourist brochures. The travelers who adventure here are usually mesmerized by the familiar atmosphere, bohemian canals, small wooden bridges, vivid flowers and colorful 200 year old homes. 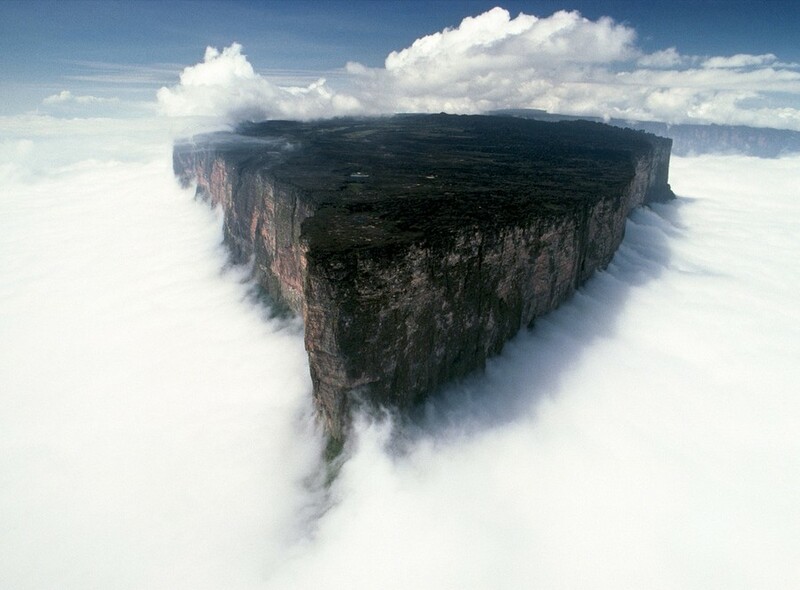 Mount Roraima was considered a symbol of these regions, an “axis mundi”, an enormous tree within which all the vegetables and fruits of the world grow. This mountain, surrounded by 400 meter (1,300 ft) tall cliffs is particularly interesting to conquer. 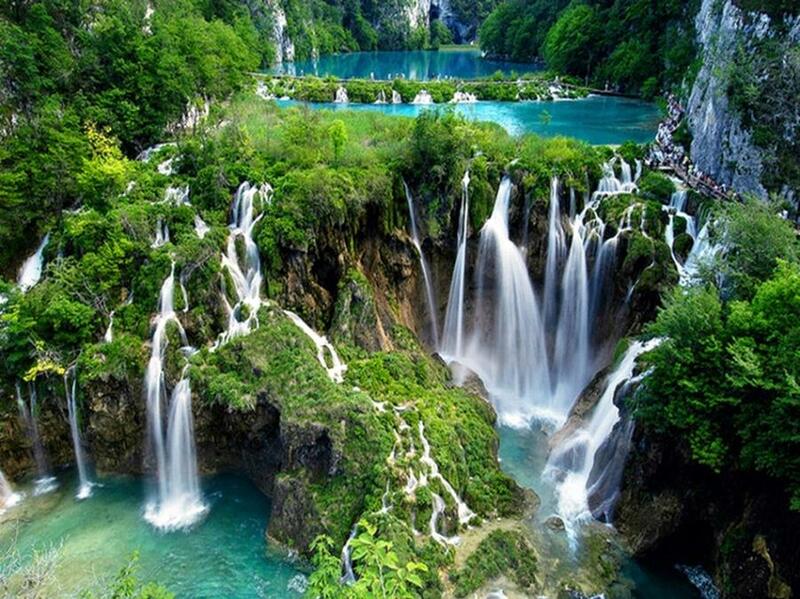 Plitvice Lakes National Park is one of the most talked about places in Croatia. 16 beautiful lakes interconnected by stunning waterfalls are the “essence” of this out-of-this-world scenery. Their water color varies, depending on the minerals they receive. 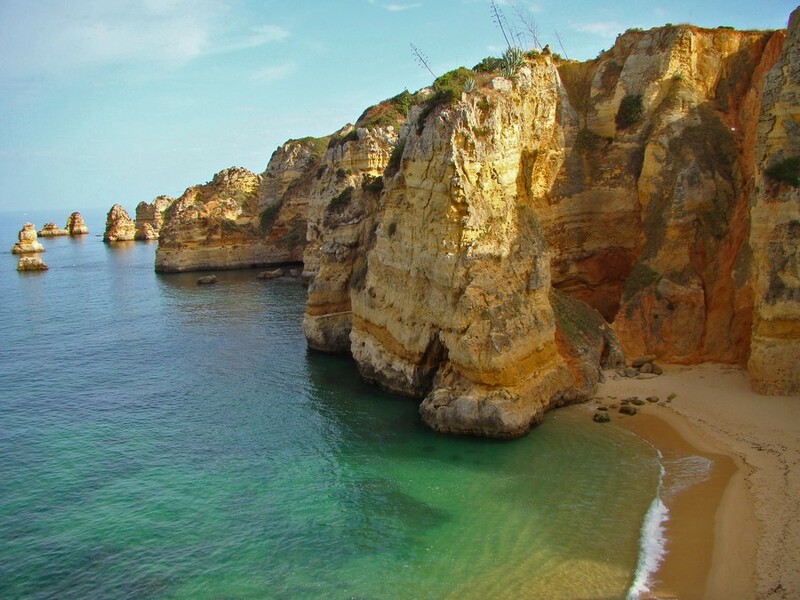 Praia de Dona Ana (or Dona Ana Beach) in Algarve, Portugal offers an unusual European beach landscape with its impressive grottos and dramatic orange cliffs. An escape here will give you a chance to experience other surrounding beaches, small golfs and a beautiful small town, bearing rich historical meaning. We do not always feel like admitting this to ourselves, but traveling has much to do with escaping. And this Swing at the end of the World is our idea of a perfect nature escape. Located in the Ecuadorian wilderness, the swing is reachable by hiking up the path to Bellavista from the edge of Baños de Agua Santa. 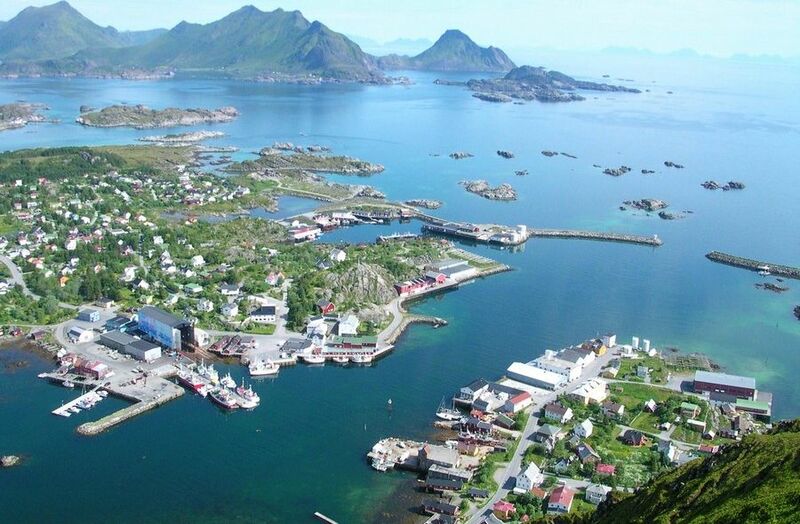 Dennis wrote for us an inspiring travel journal on his 10 day trip to Lofoten, Norway. One more amazing location we’ve covered on the site because of him. Just click the photo for details. 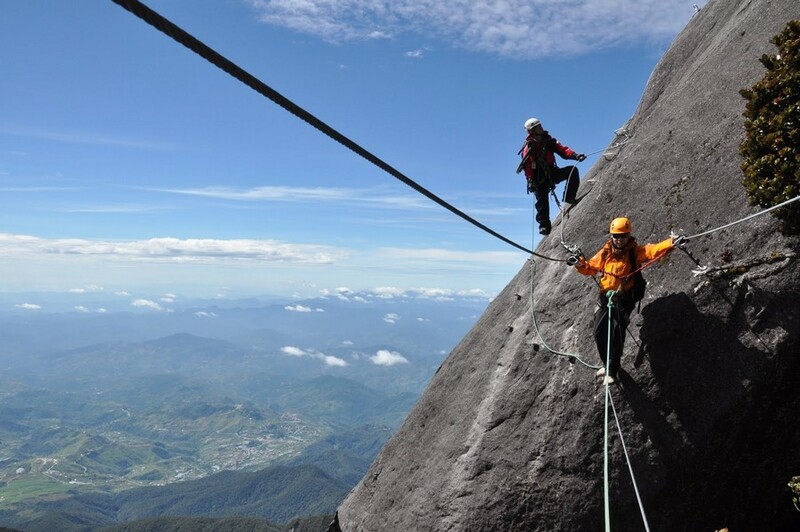 The Mountain Torq Via Ferrata is located at 3,776 meters above sea level and has been certified by Guinness World Records as the world’s highest “via ferrata” (Italian for “road with iron”). 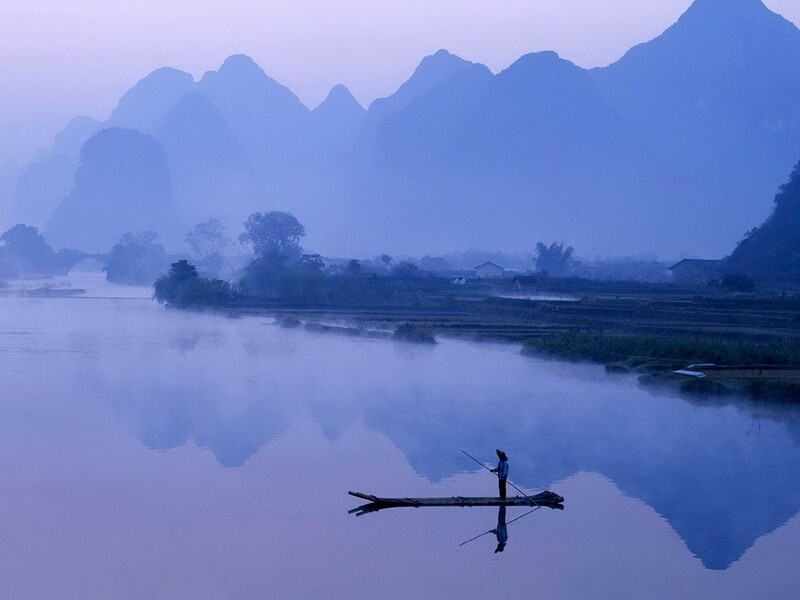 Guilin is said to be one of the most beautiful cities of China, different from the rest of the country due to its unusual history, natural isolation and spectacular hills. 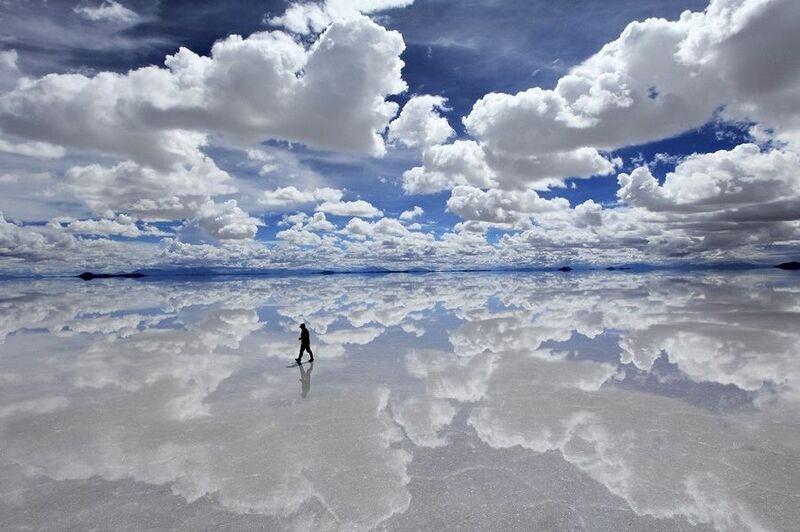 Salar de Uyuni (or Salar de Tunupa) is the largest salt lake in the world, having 10,582 square kilometers (4,086 square meters). 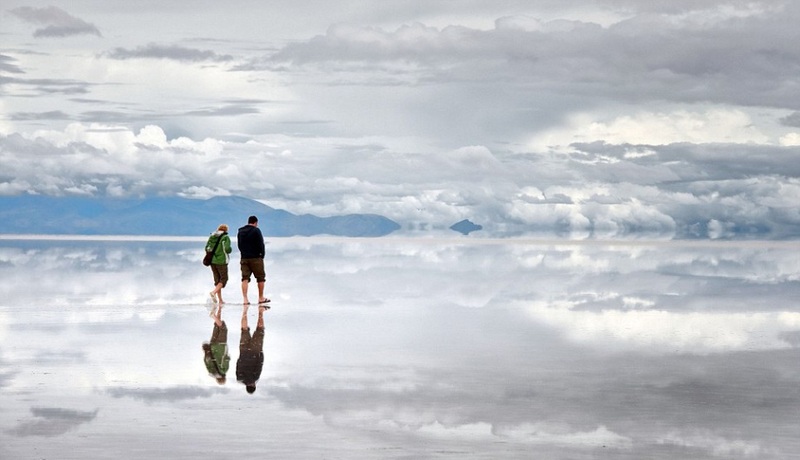 It is located in southwest Bolivia, near the Andes and it is a place of breathtaking and unworldly views. Hope you guys enjoyed the 20 virtual trips and feel free to pitch in with more ideas about your own favorite places around the world!